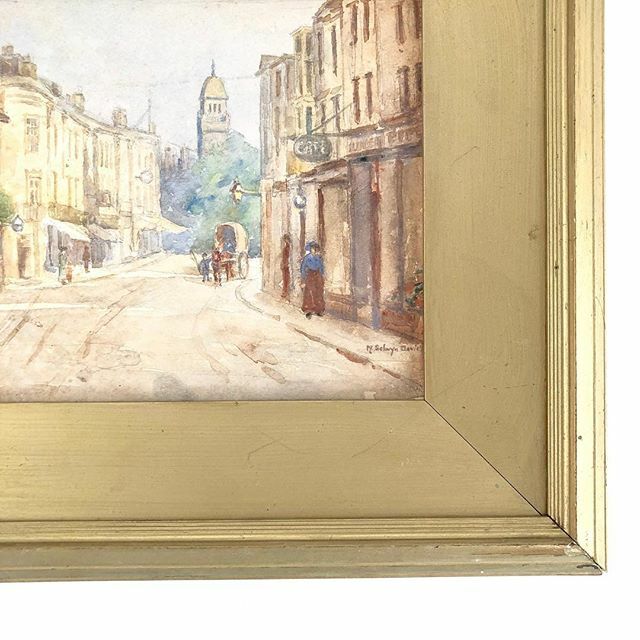 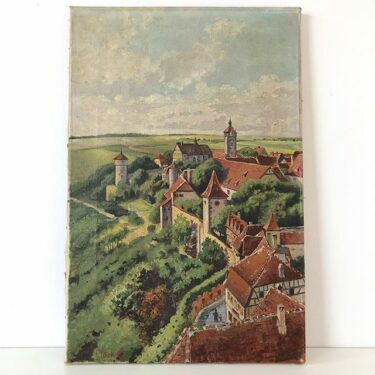 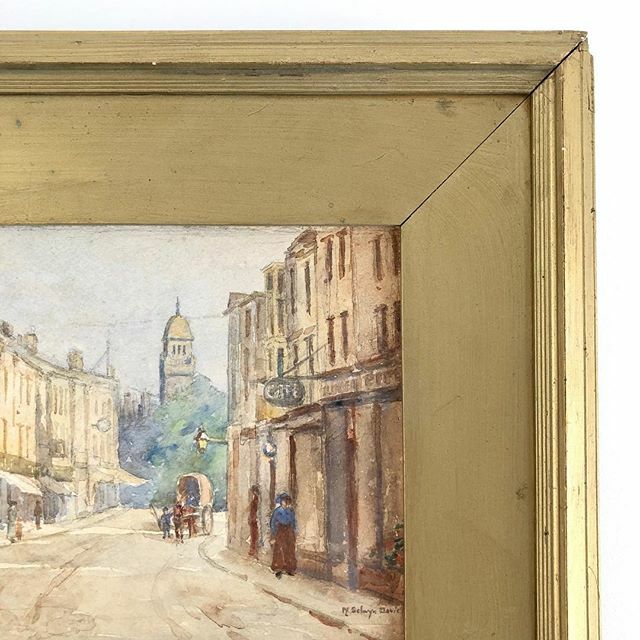 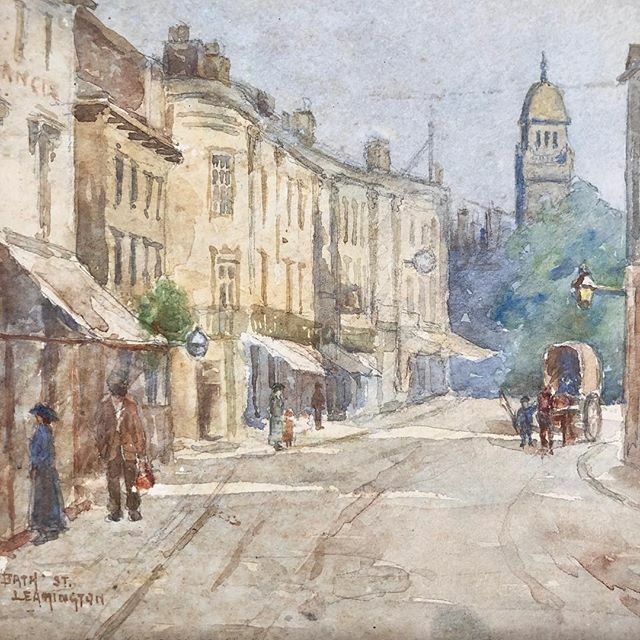 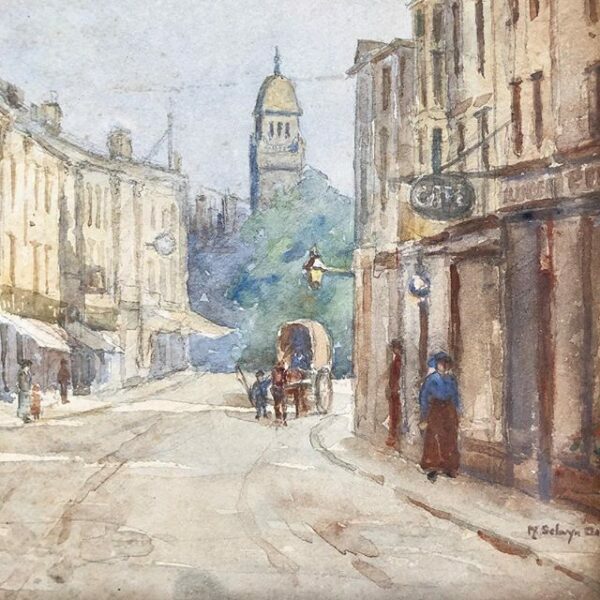 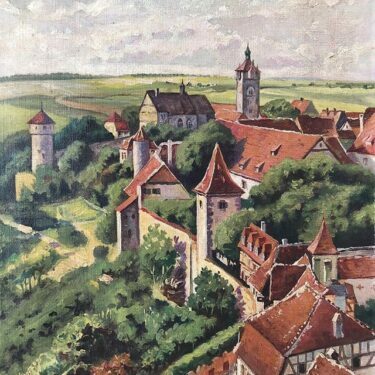 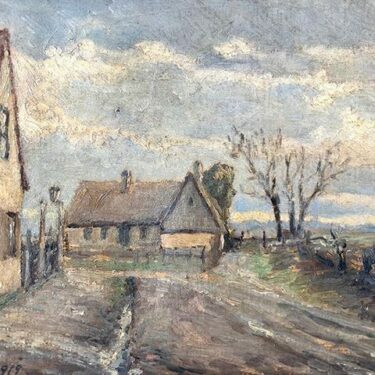 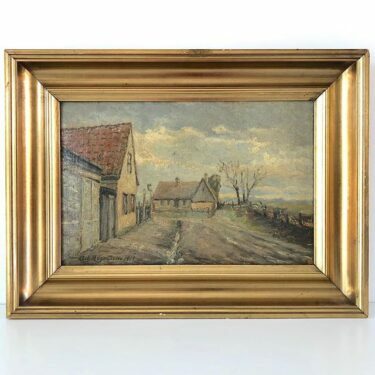 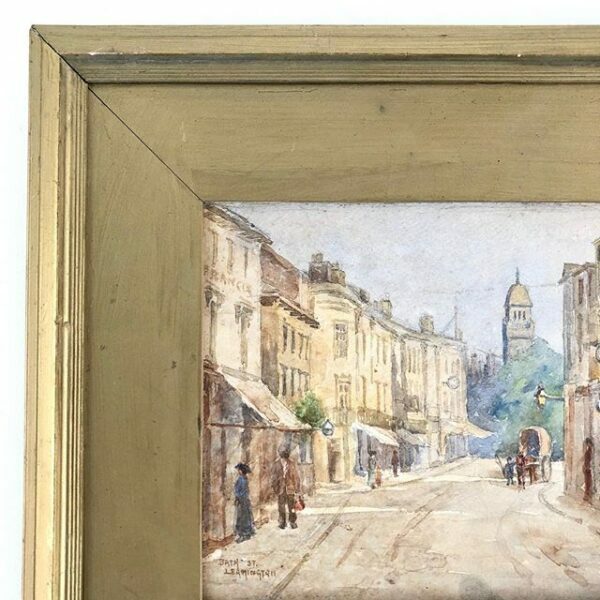 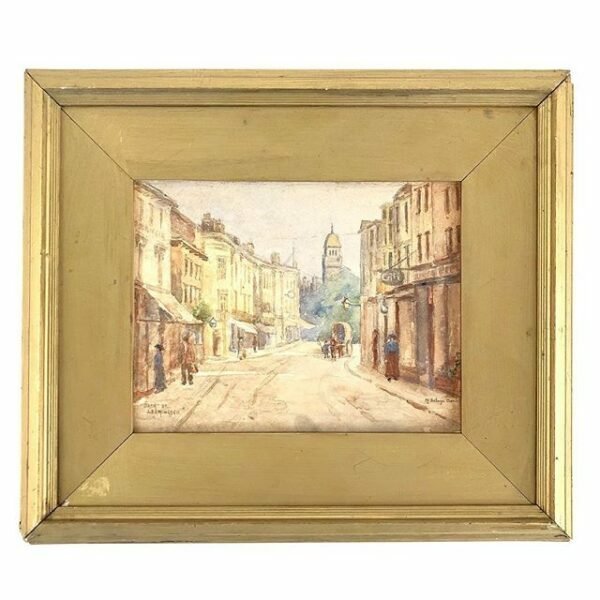 A lovely early 20thC water colour painting of Bath St, Leamington in England. 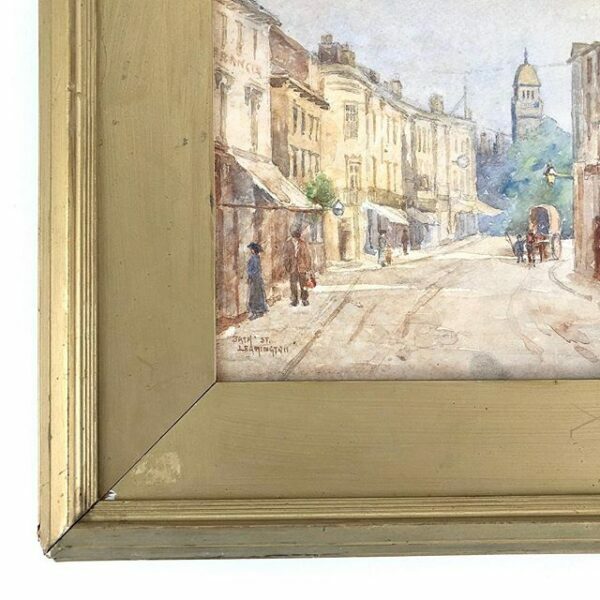 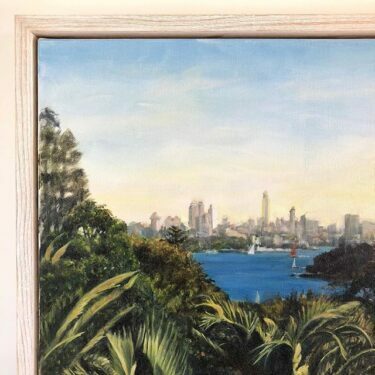 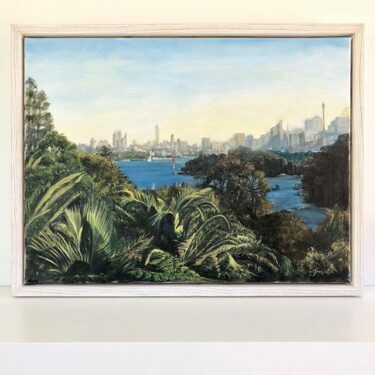 Water colour on paper in its original gold wood framed and tapered gold wood mat board, no glass present. general age and patina to the frame from age.